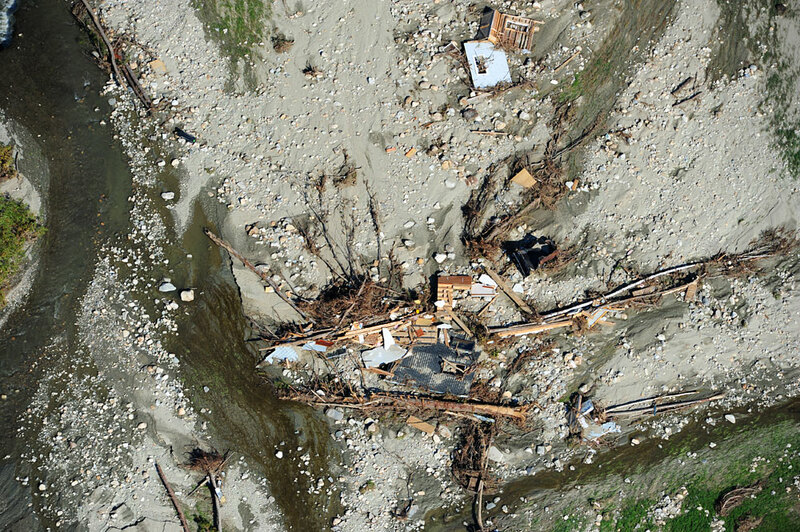 Free for editorial and educational use. 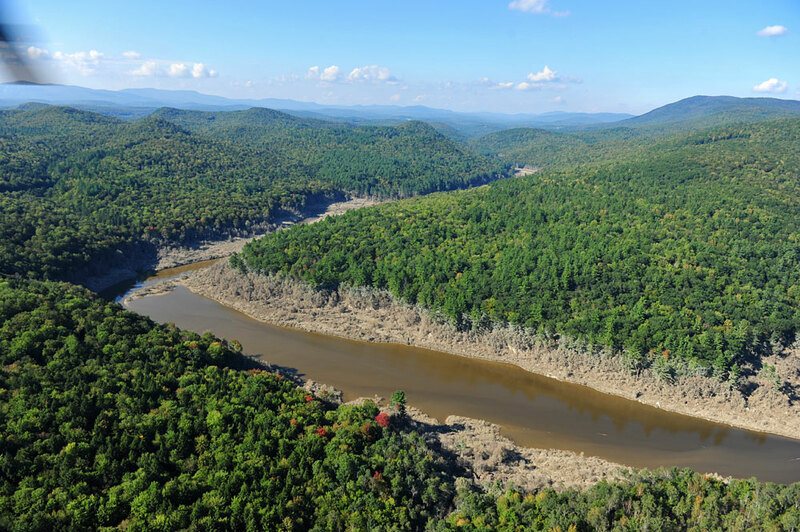 Call 802-238-7809 for additional usage questions. 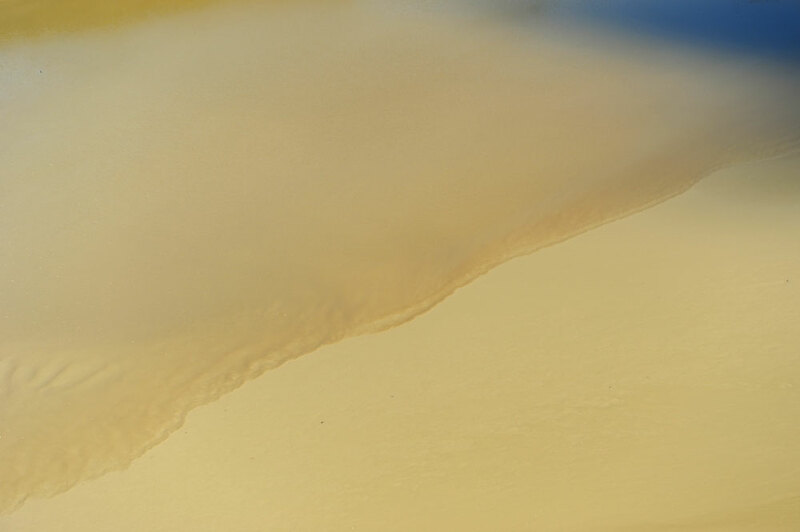 Email signup for new gallery notification. 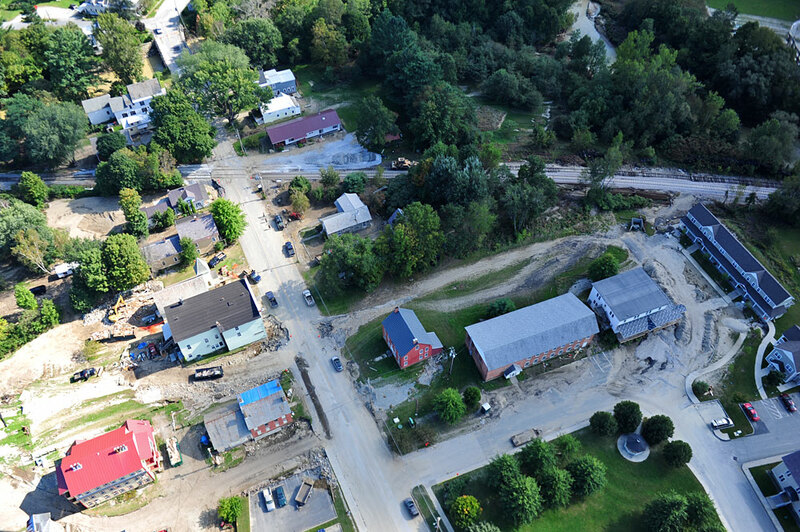 Route 7 repairs nearing completion just south of Rutland, VT.
A farm and neighborhood on Middle Road in North Clarendon just south of Rutland, Vermont cleaning up after flooding from Hurricane Irene on Aug 28 & 29th. 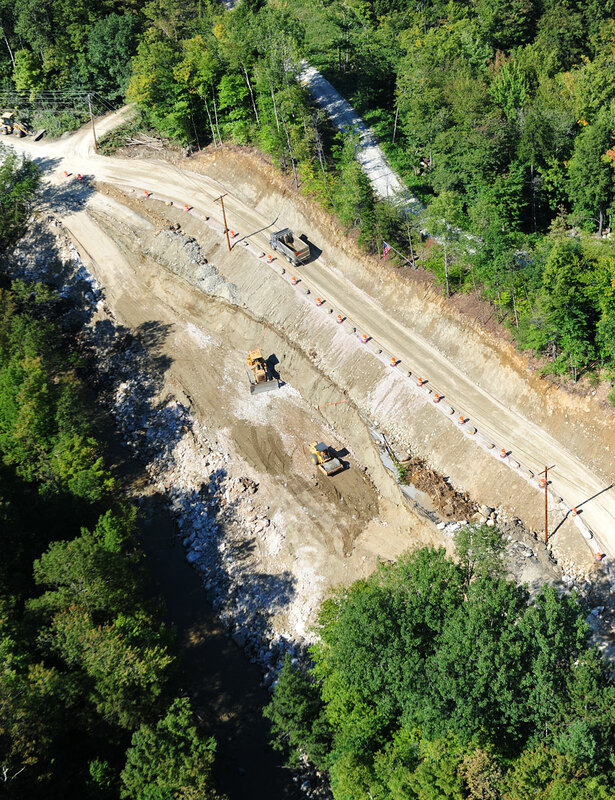 Route 4 near Mendon between Rutland and Killington, VT with significant repairs mostly complete. 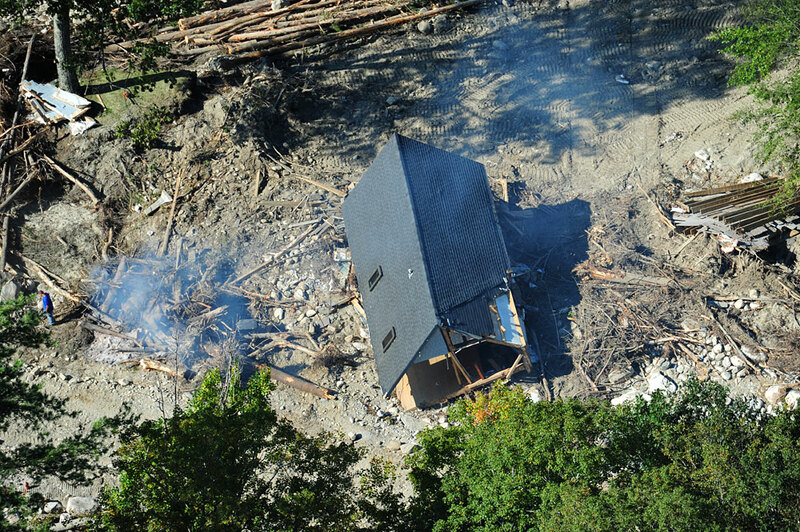 Picture taken September 12th, 2011. 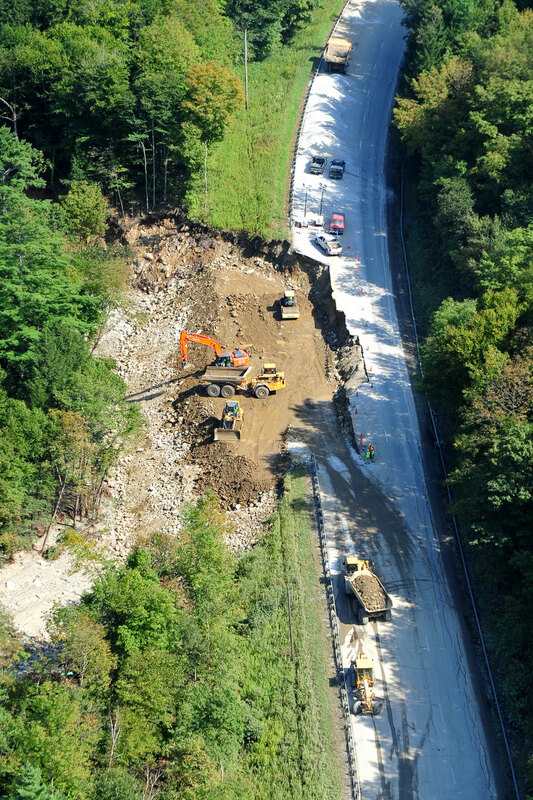 One of the last areas on Route 4 near Mendon that still needs repair. 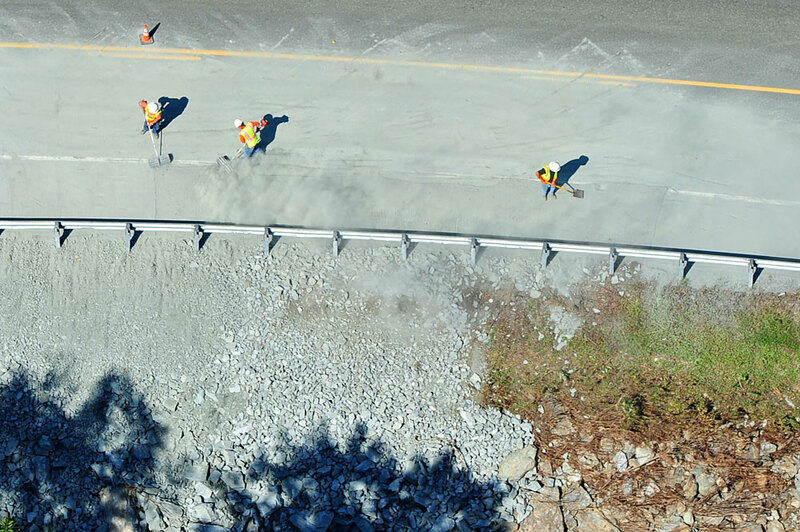 Two weeks ago I would never have guessed the road would be almost fully repaired in such a short time. 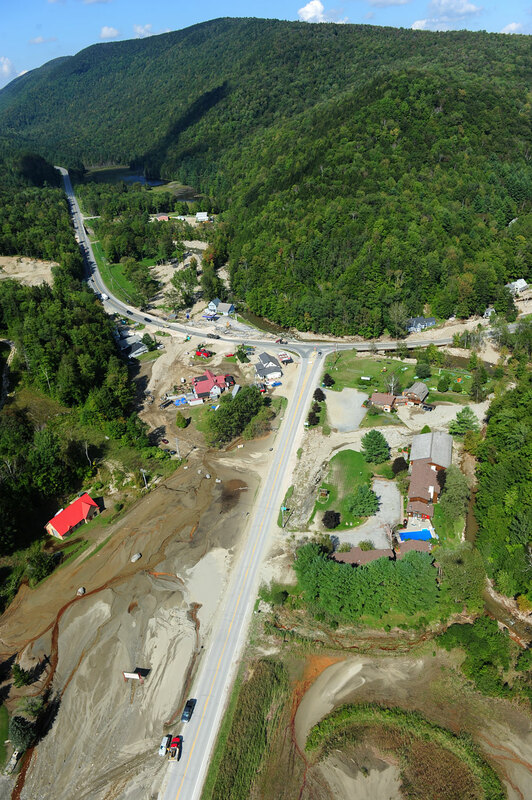 Look at our August 31st gallery at the bottom for before images of the same road. 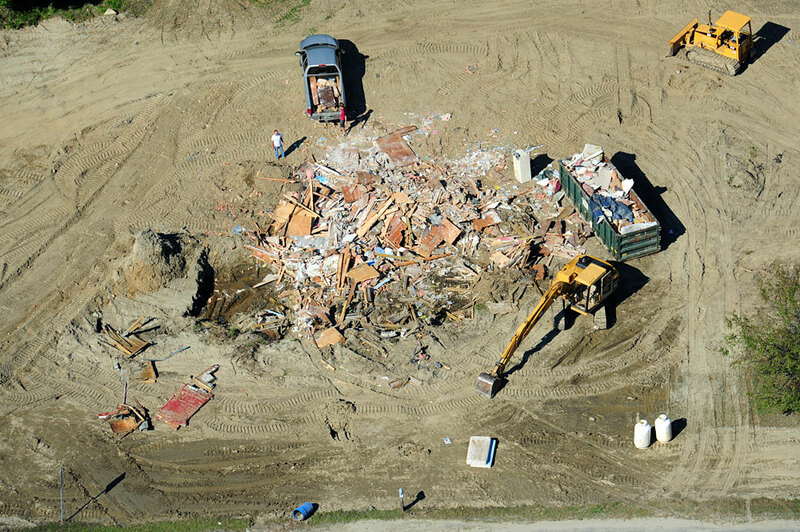 Cleaning up in West Bridgewater, Vermont. 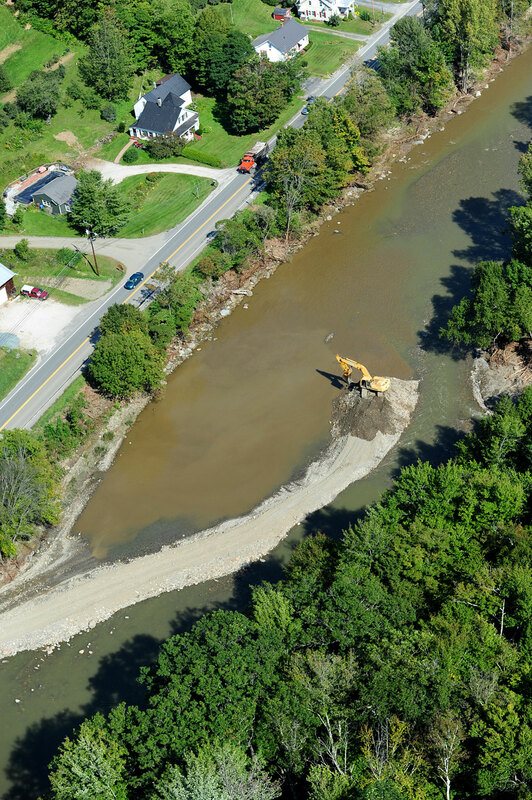 Highway crews hard at work on Route 4 headed towards Woodstock, VT.
An excavator works in the river near Bridgewater Corners, VT to presumably reset the river to its original path. 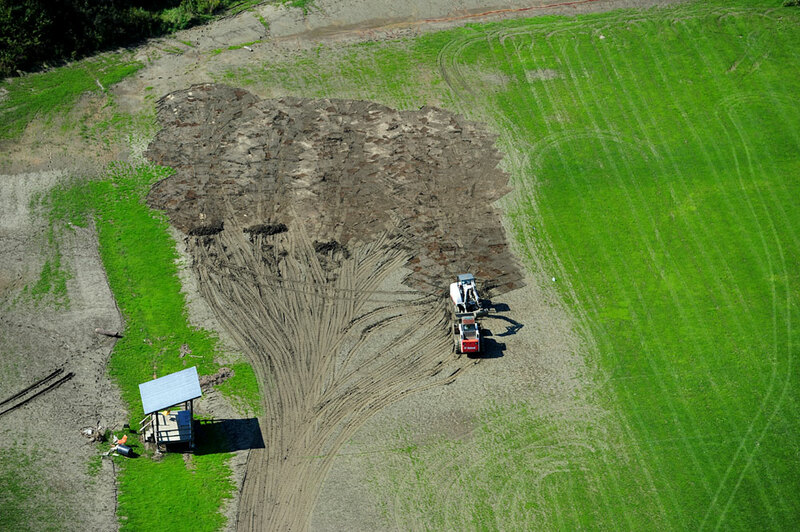 Equipment works to clear silt off a field in West Woodstock, VT next to Woodstock Union High School. 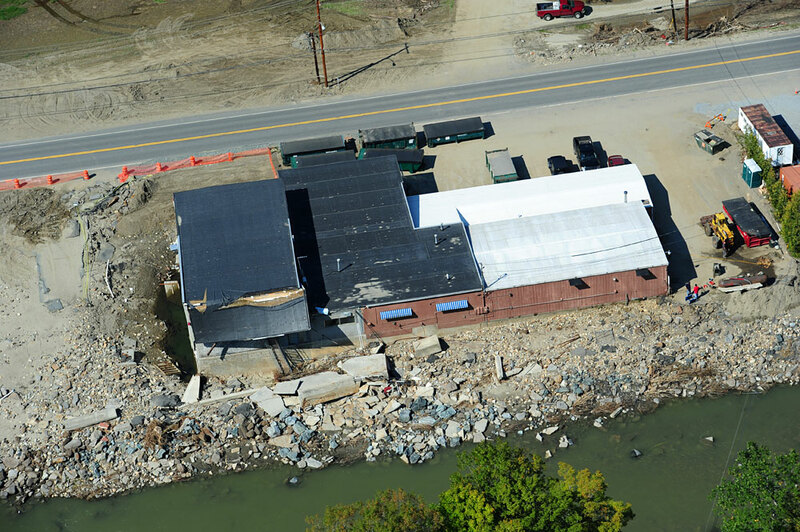 Dead River Company building partly destroyed by the force of the water during Hurricane Irene in West Woodstock, VT.
Field and crop damage just outside Woodstock Vermont. 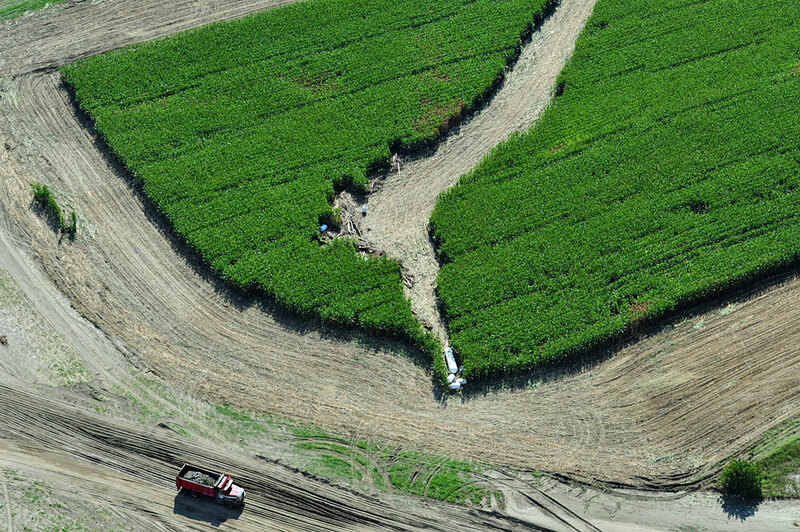 Look closely in the cornfield and you will see 5-10 residential propane tanks that were washed down river by the floodwaters. 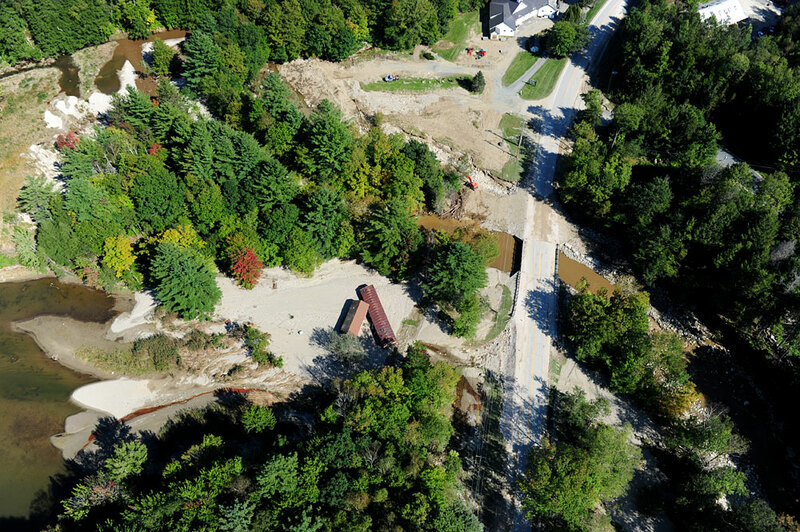 Damaged land on Route 100A just south of Bridgewater Corners. 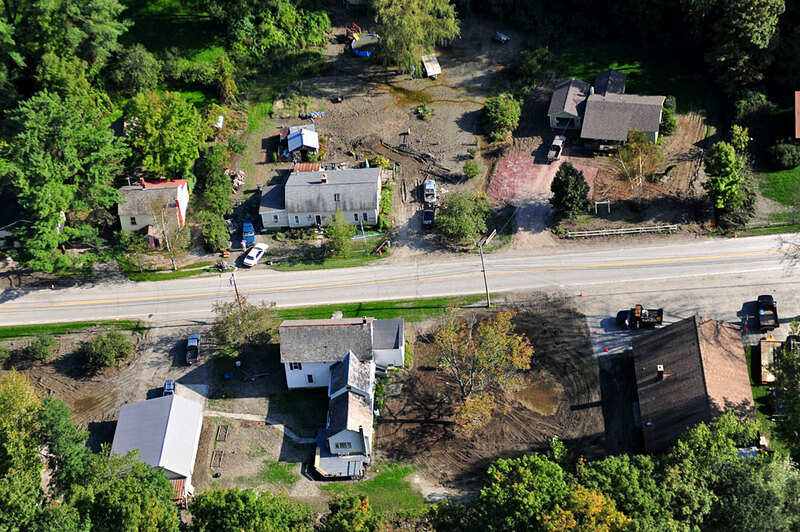 Above Route 100A at Toplift Cemetery. 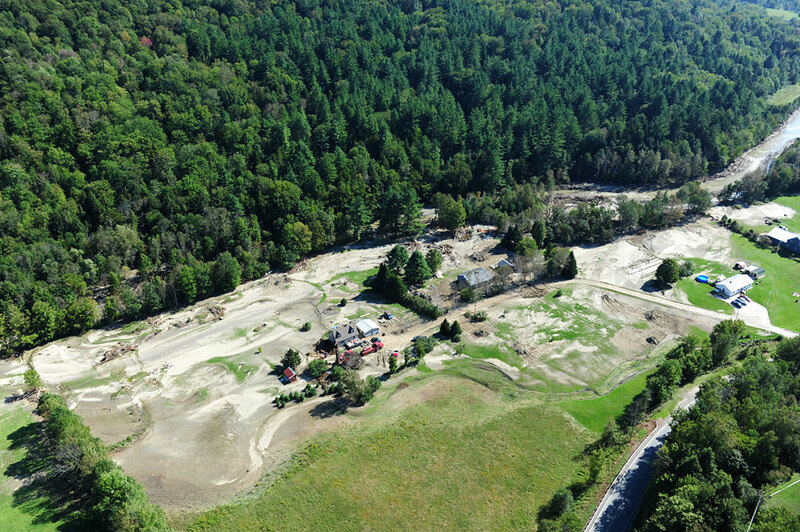 Erosion and a destroyed building next to 100A by Toplift Cemetery between Bridgewater Corners and Plymouth, VT.
Just up the road on 100A a mobile home was all but consumed by the raging river. 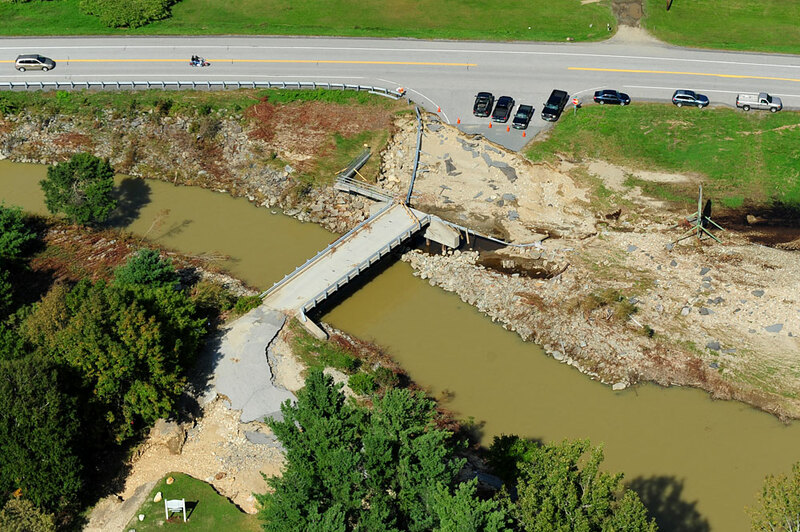 Bridge damage on 100A with a temporary repair in place. 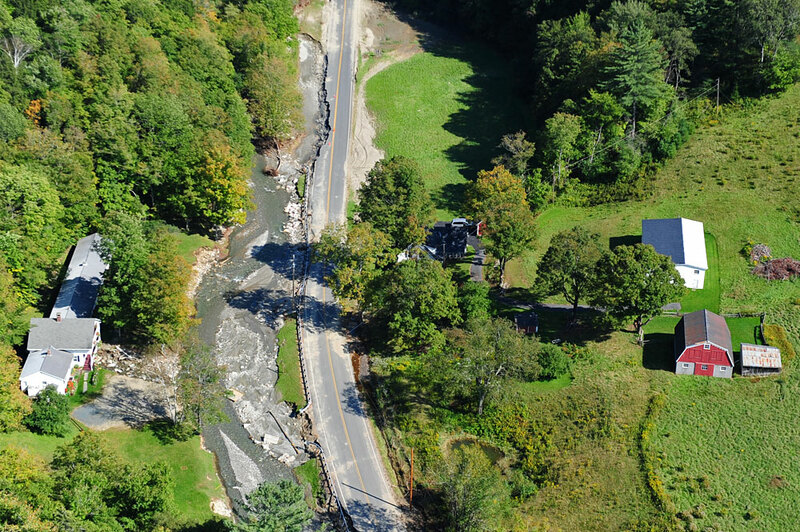 Road damage and driveway/bridge washout along 100A headed towards Plymouth, Vermont. 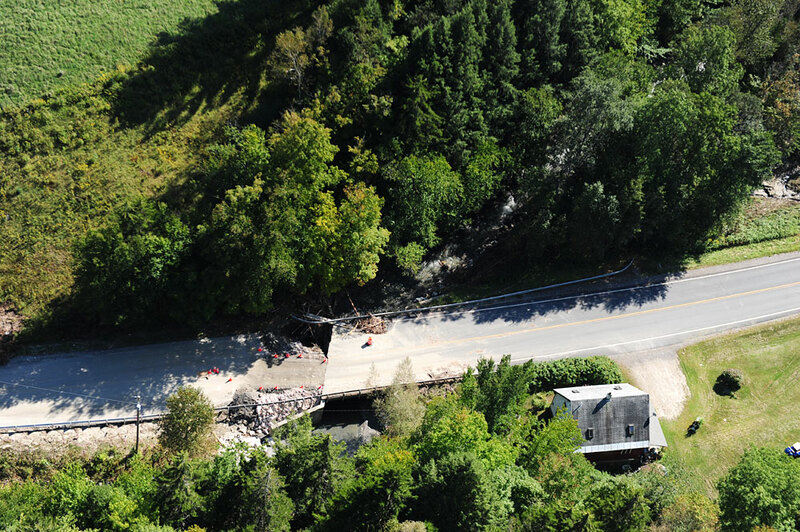 Impassible bridge damage on 100A near Plymouth, VT. A walking bridge is in place. 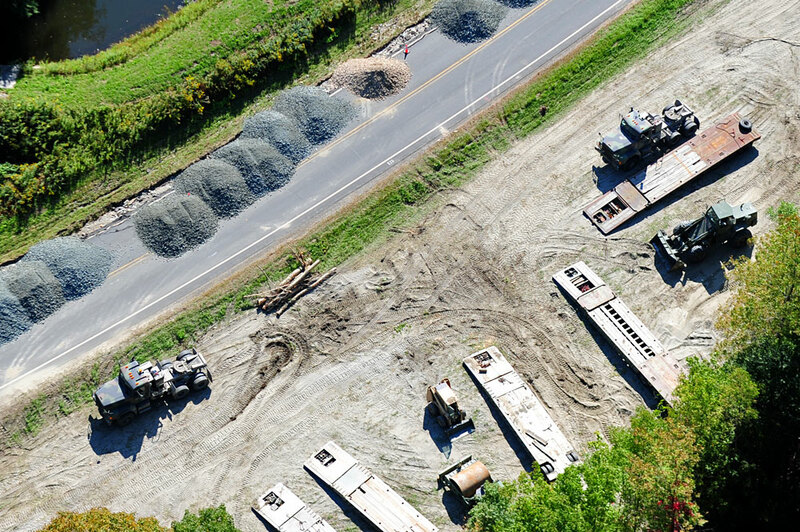 A staging area with military equipment to assist with road repairs along 100A. 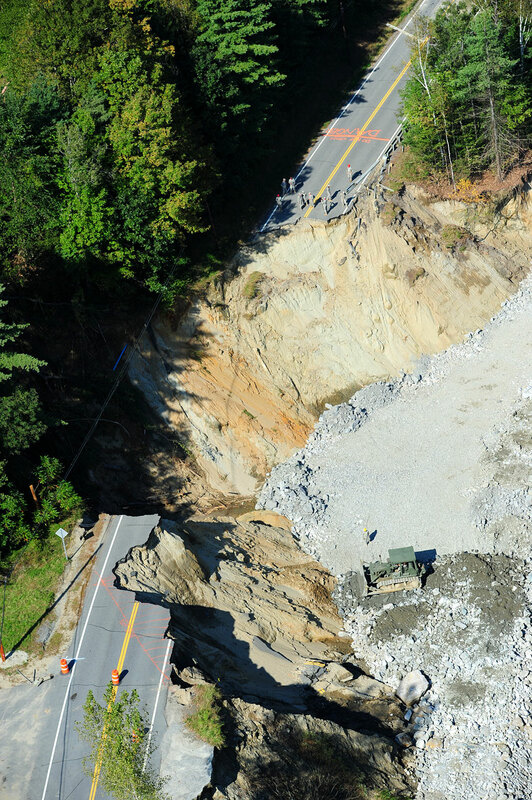 A military Humvee passes a heavily eroded section of 100A near Plymouth, Vermont. 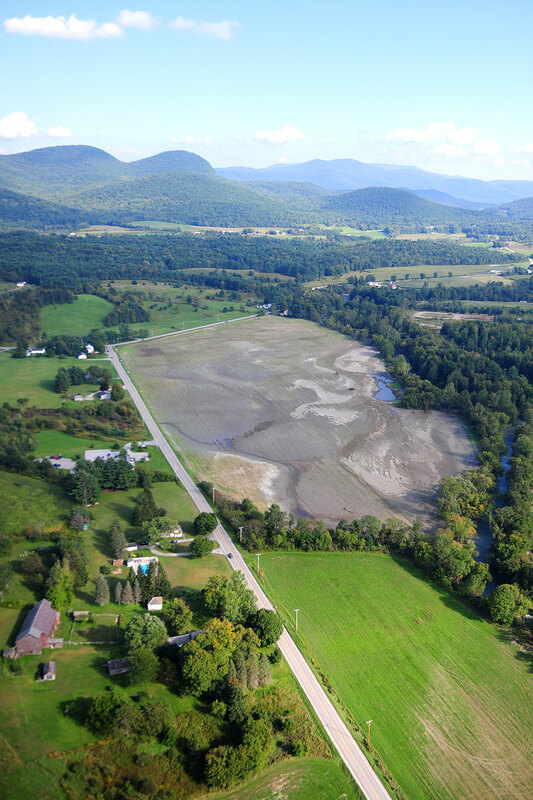 Heavy silt deposits in a field just south of Plymouth Notch, VT along Route 100. 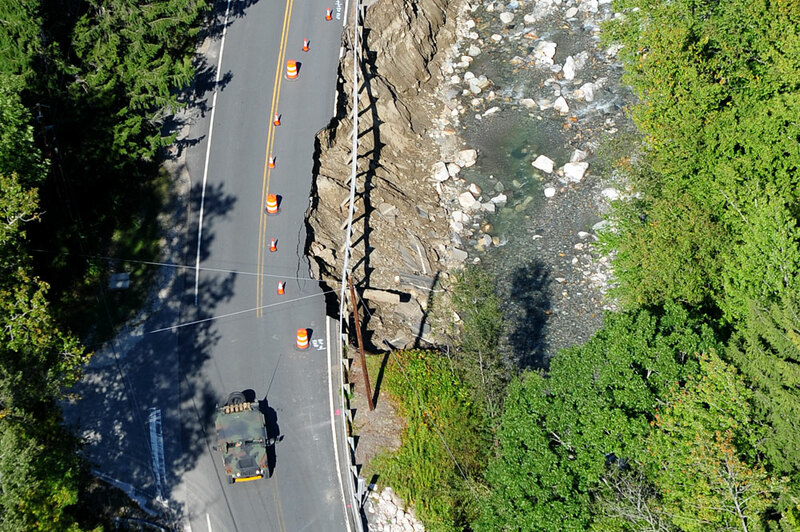 A temporarily repaired section of Route 100 after a huge washout destroyed the road. 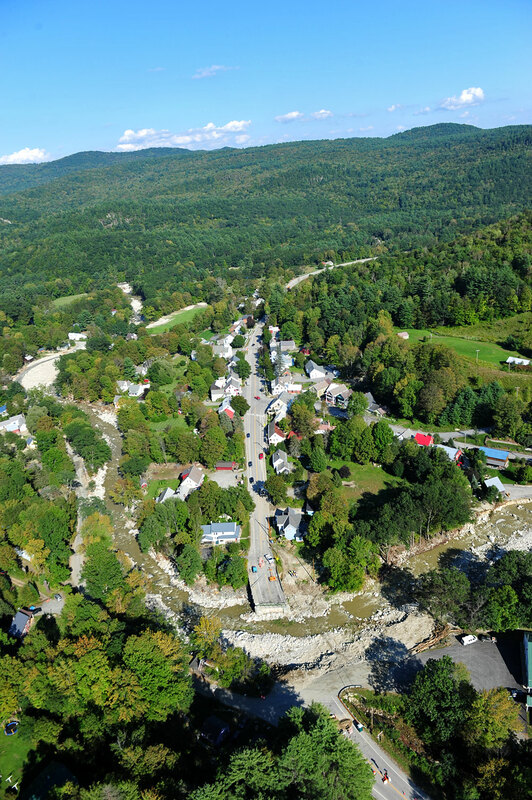 Hawk Inn and Mountain Resort is seen in the distance. 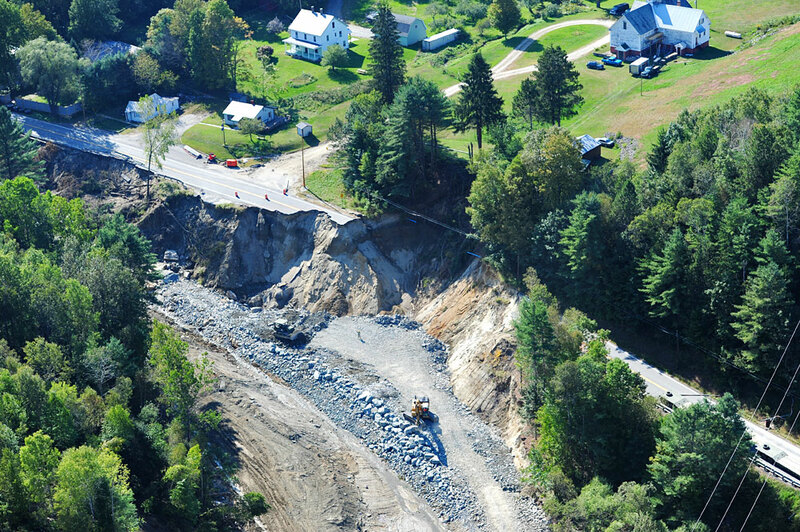 A temporarily repaired section of Route 100 south of Plymouth Notch, VT.
More damage along Route 100 headed south. 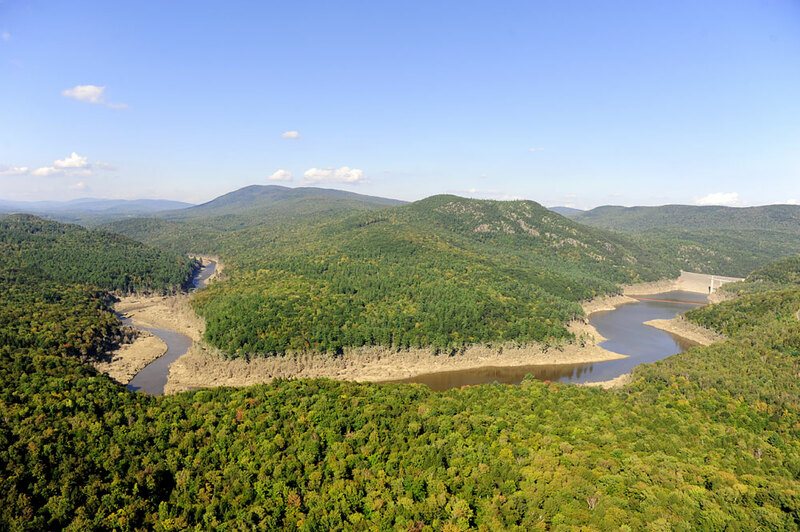 A camp area on Echo Lake. 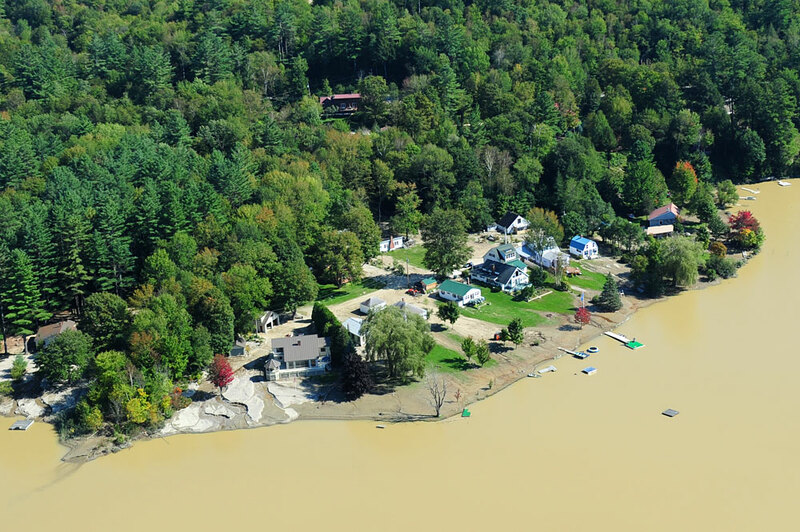 Lake Rescue in Tyson, Vermont colored brown with suspended silt and dirt from Hurricane Irene. 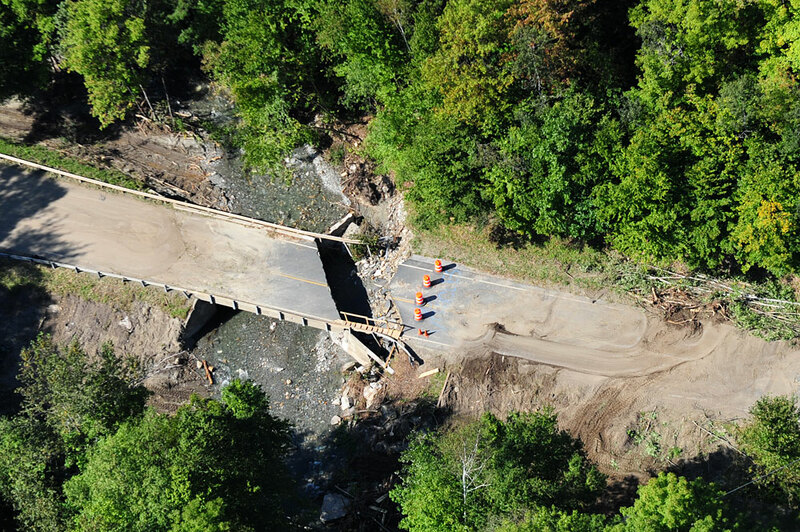 Another destroyed bridge access along Route 100. 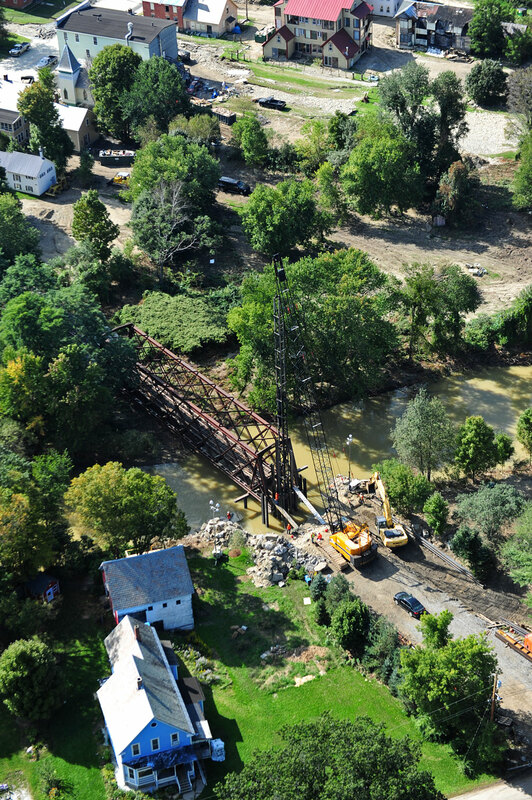 A railway bridge undergoing repair in Proctorsville, Vermont. 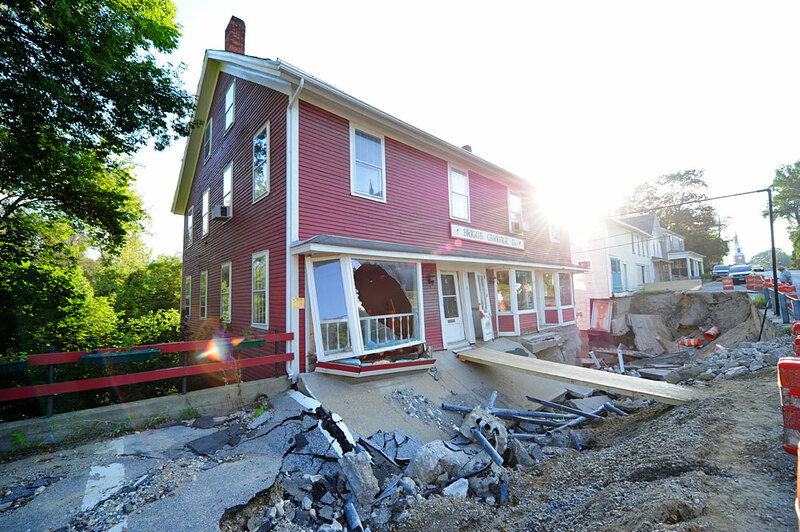 In Proctorsville it looked as if the water had simply run straight through the town causing significant damage to both streets and structures. 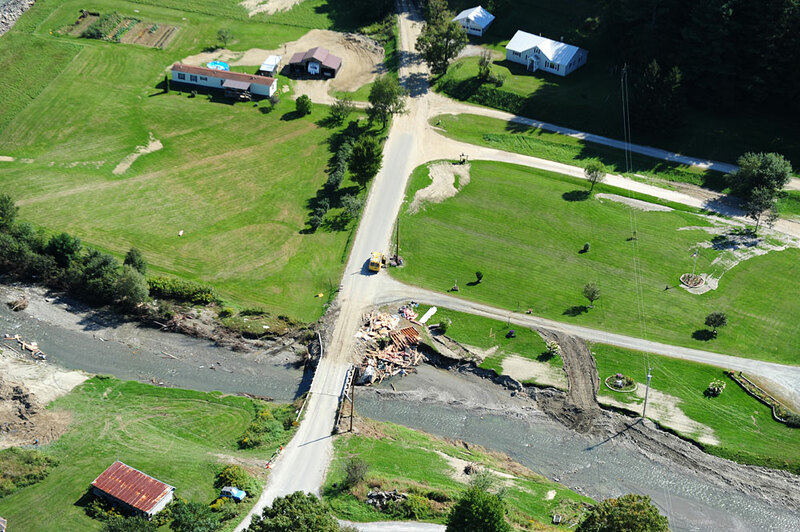 In nearby Cavendish (just east on Route 131) damage was also significant making access to Carlton Road impossible. 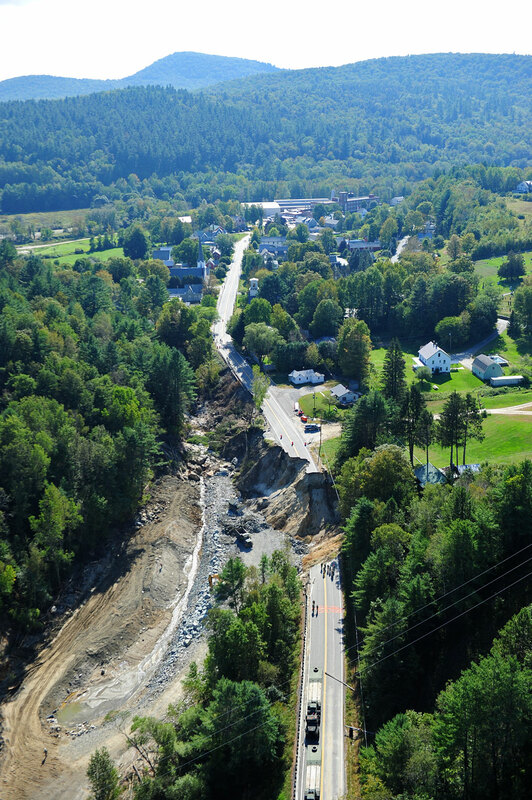 A huge section of Route 131 in Cavendish, Vermont eroded away during the storm leaving a massive hole in the highway. 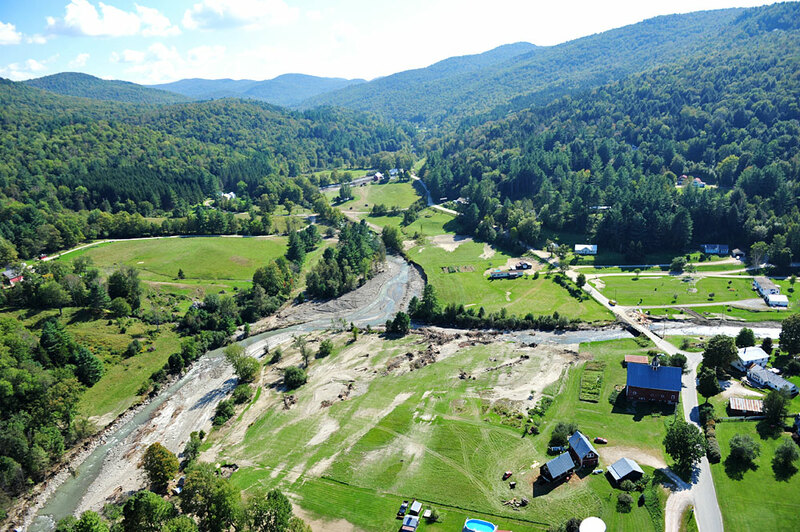 The E.H. Atherton Mill House on the Black River in Cavendish, Vermont. 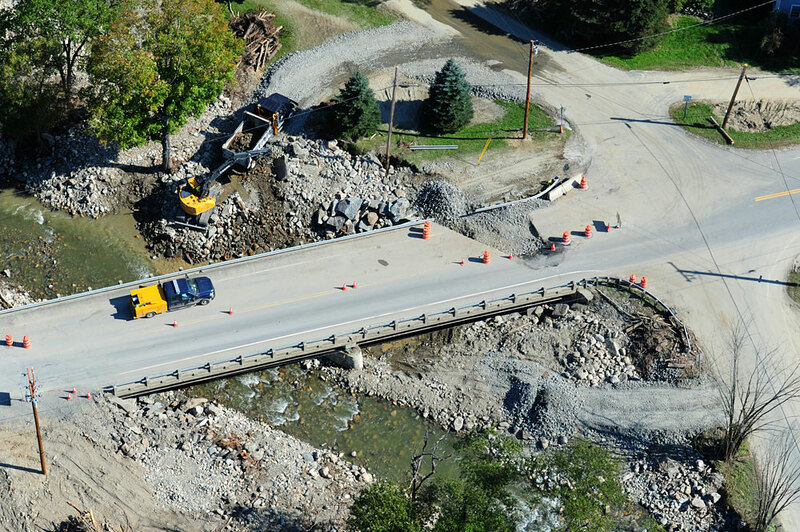 A damaged bridge on Route 131 in Cavendish with crews excavating gravel and rock form the river for repair and riverbank restoration. 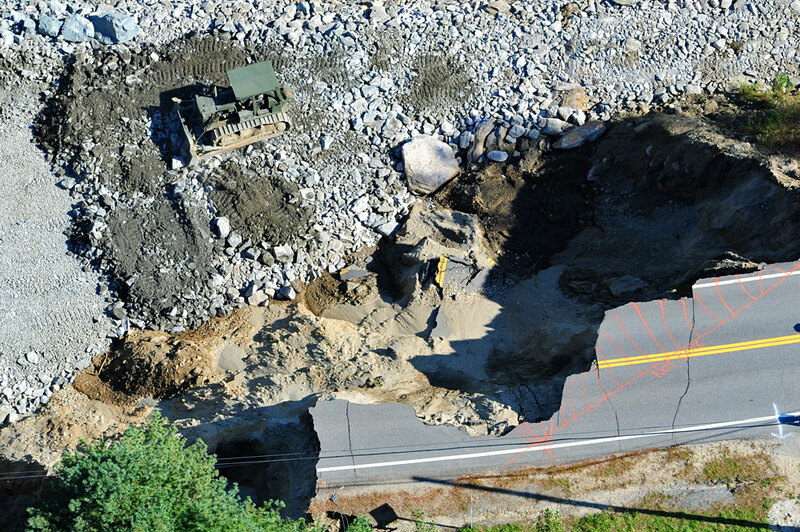 In Cavendish the massive hole on Route 131 appeared to be in the hands of our Military with uniformed soldiers running heavy equipment and making a plan for rebuilding the road. 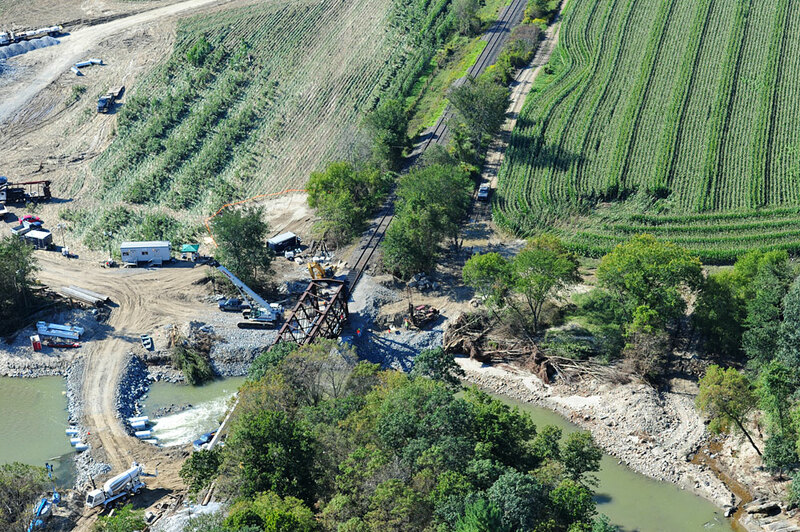 A green military bulldozer works below the roadway to compact and rebuild the bank. 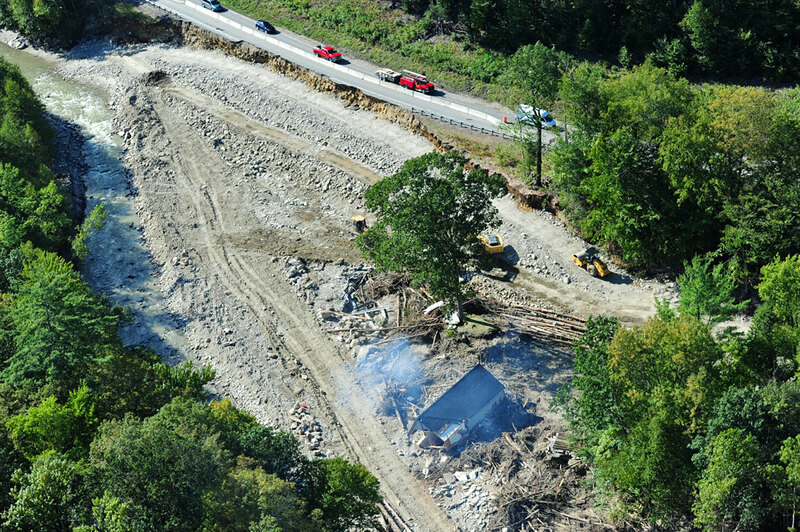 Route 131 with the rebuilding effort underway in Cavendish, VT.
Road damage to Route 131 in Cavendish, VT.
Remnants of a home in the river along Route 103 headed towards Chester, Vermont. 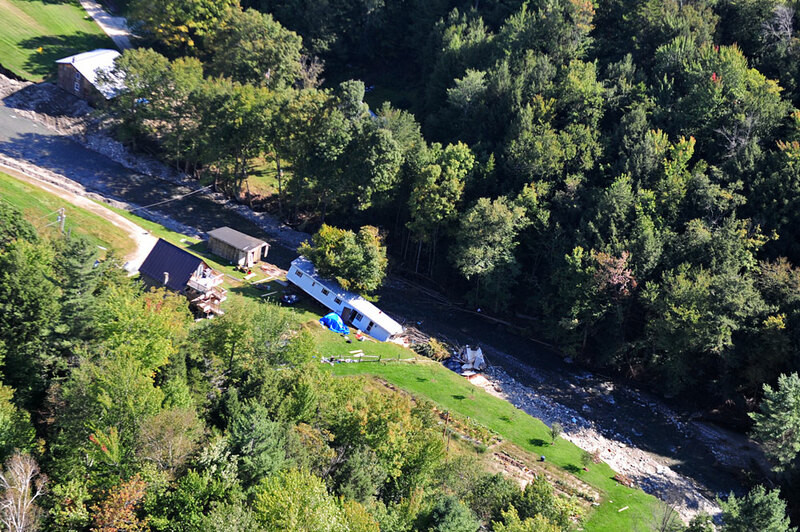 A destroyed home along Route 103 near Chester, Vermont. 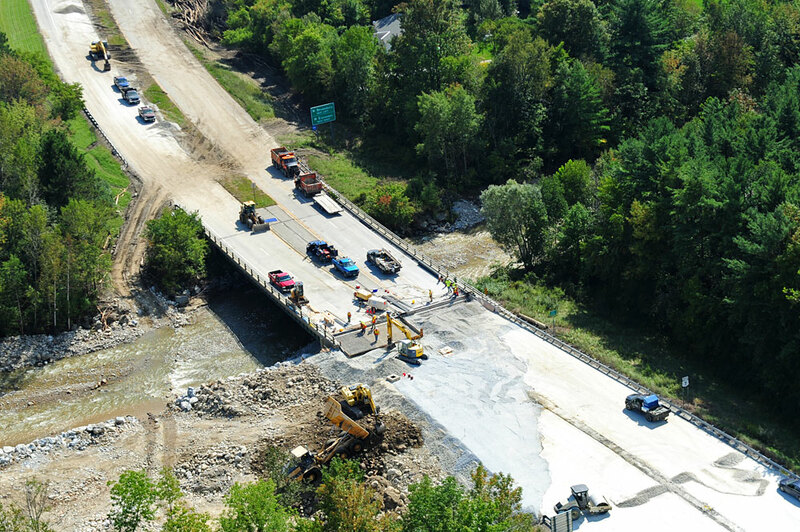 About a mile outside Chester, Vermont on Route 103 south a railroad bridge was undergoing major repair. 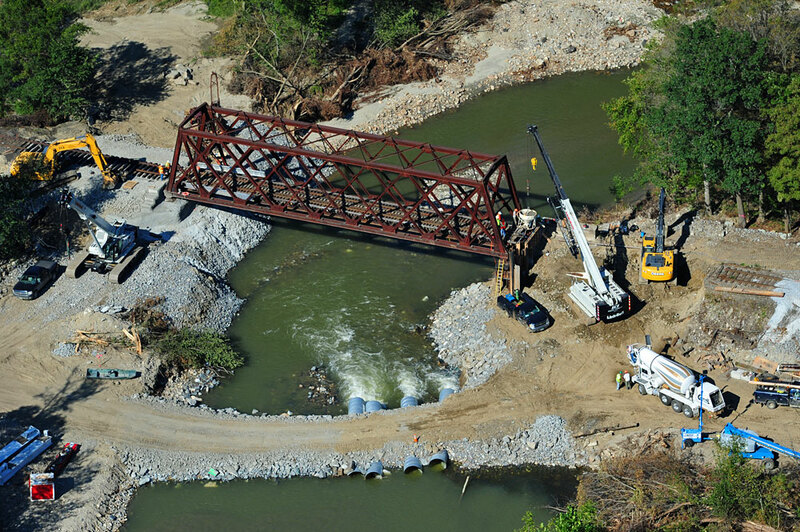 A temporary road had even been put in place across the river to facilitate access with heavy equipment and cranes. 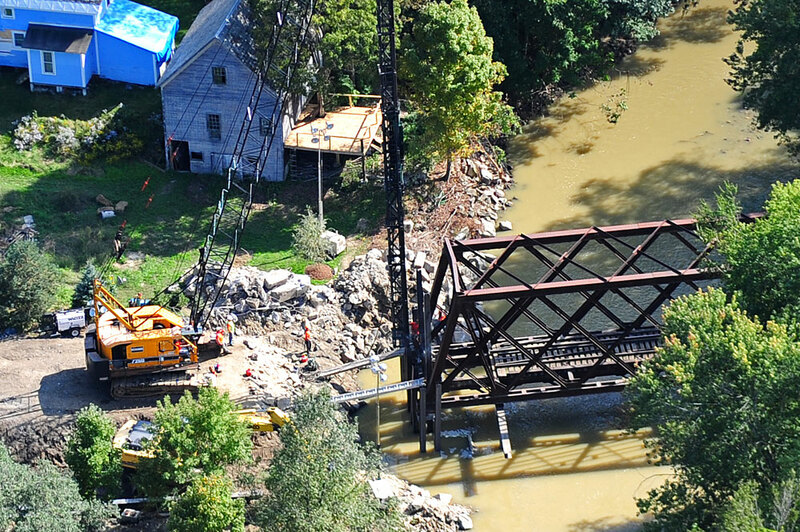 Near Chester, Vermont on Route 103 south a railroad bridge undergoing major repair. 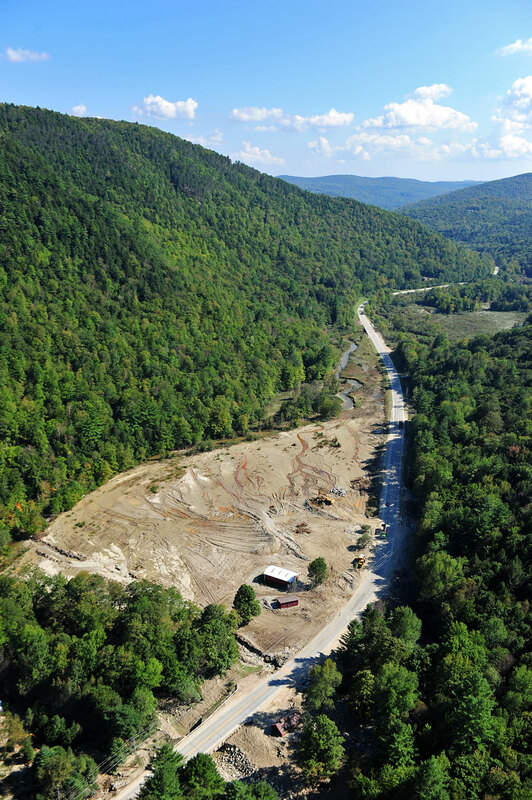 Two merging rivers about 1000' behind where this photo was taken wrecked havoc on crops and parking lots in Chester, VT. Route 103 is seen on the right. 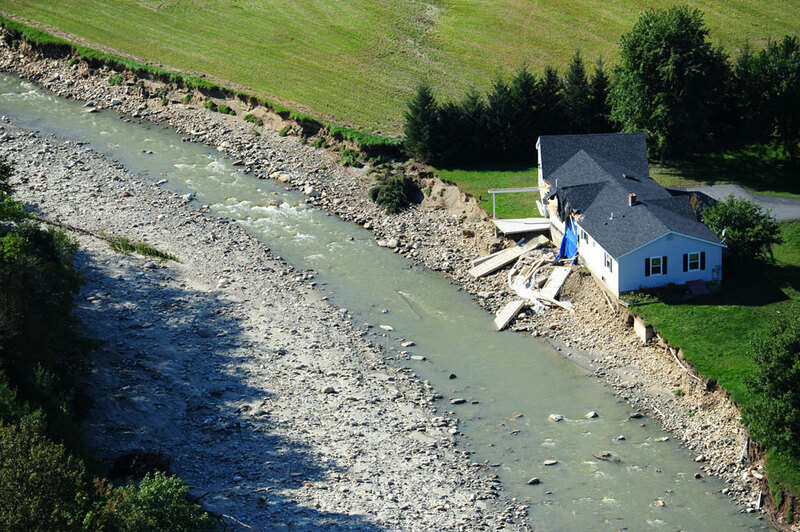 Extensive riverbank erosion damaged a home on Route 11 West just outside Chester headed towards Reedville, Vermont. 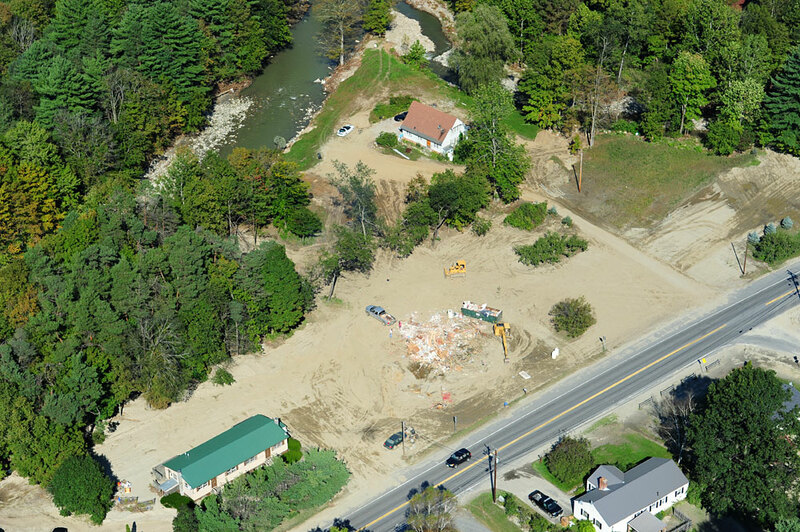 Riverbank restoration in progress along Route 11. 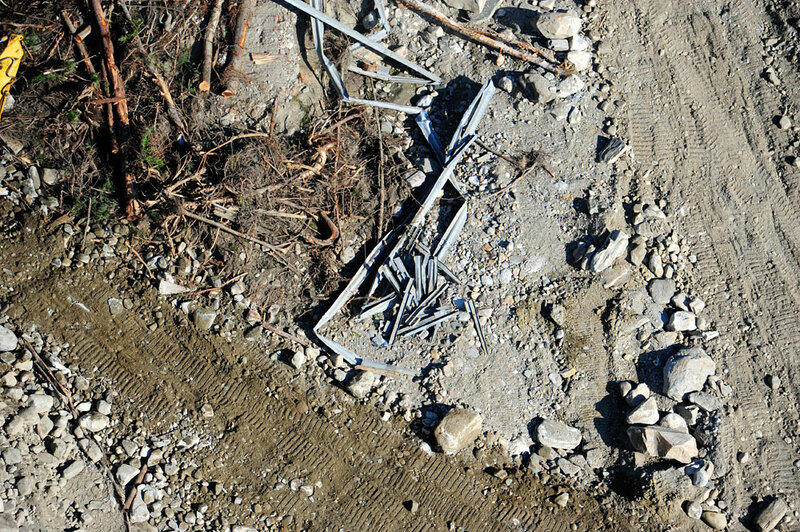 Pieces of guard rail and trees along Route 11. 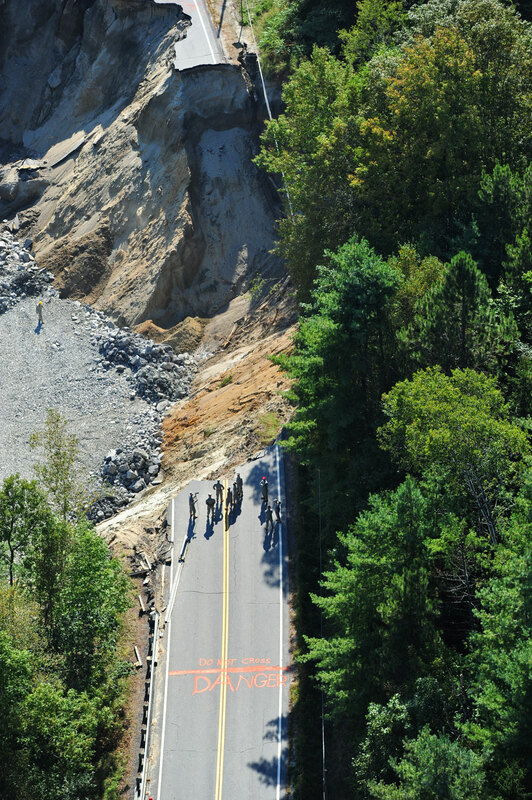 Devastation along Route 11 between Chester and Reedville, Vermont seen on September 12, 2011. 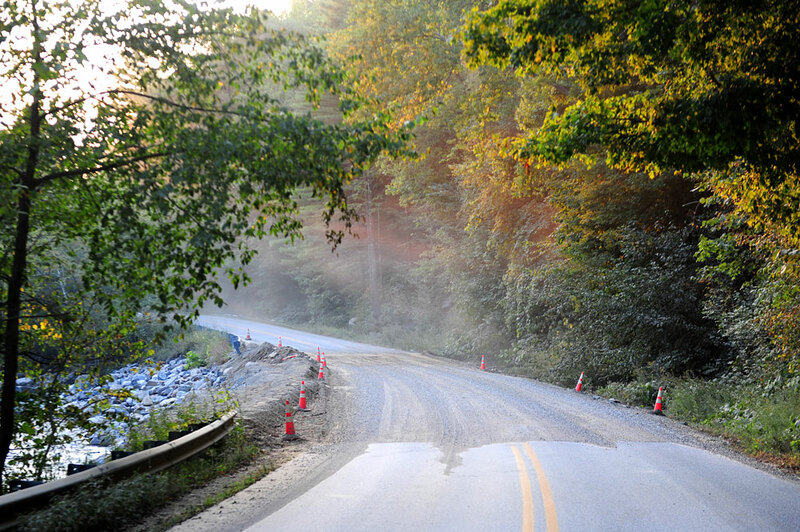 Route 11 between Chester and Reedville, Vermont seen on September 12, 2011. 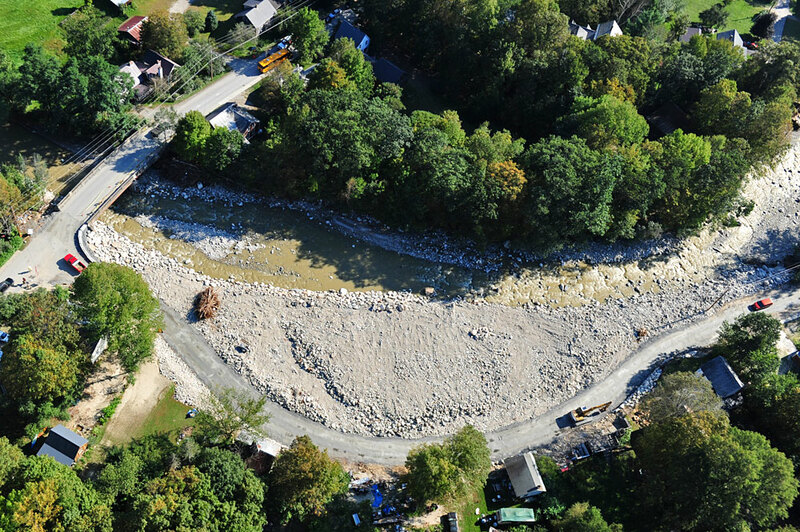 Riverbank restoration in progress along Route 11 near Reedville, VT.
Damaged vegetation from high water at the Townsend Dam. 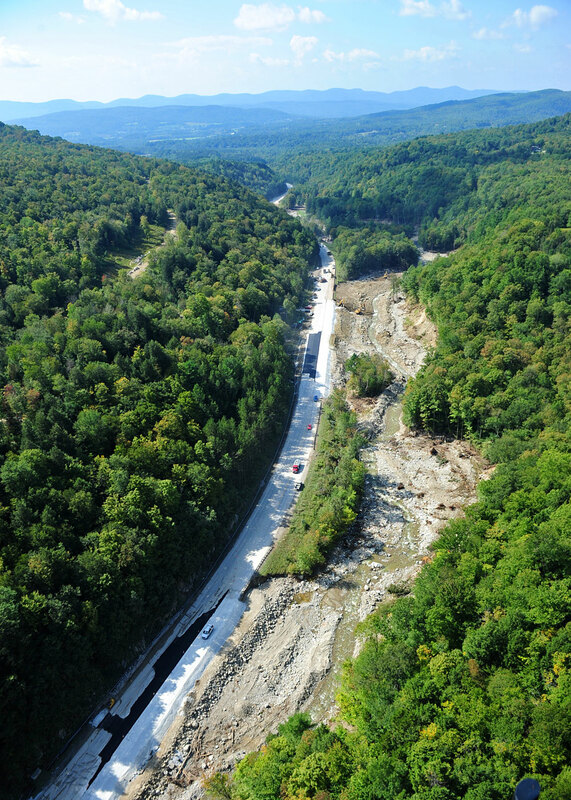 Townsend Dam and spillway just south of Jamaica, Vermont on Route 30. 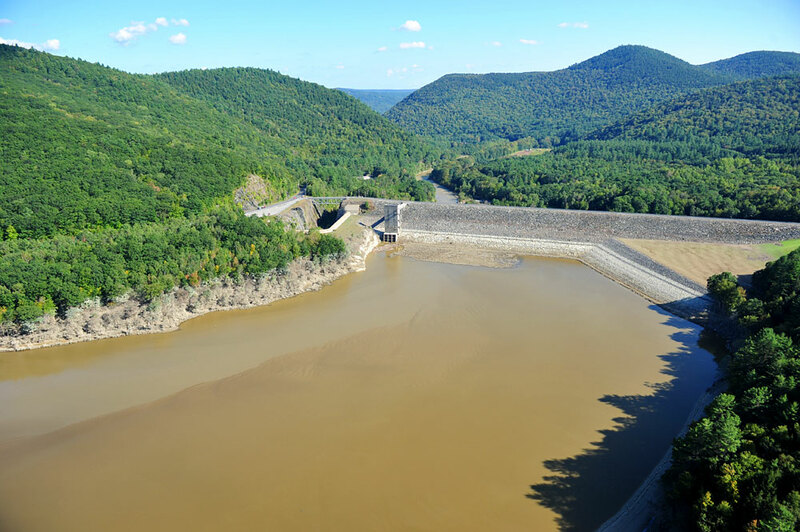 Two shades of muddy water meet behind the Townsend Dam. 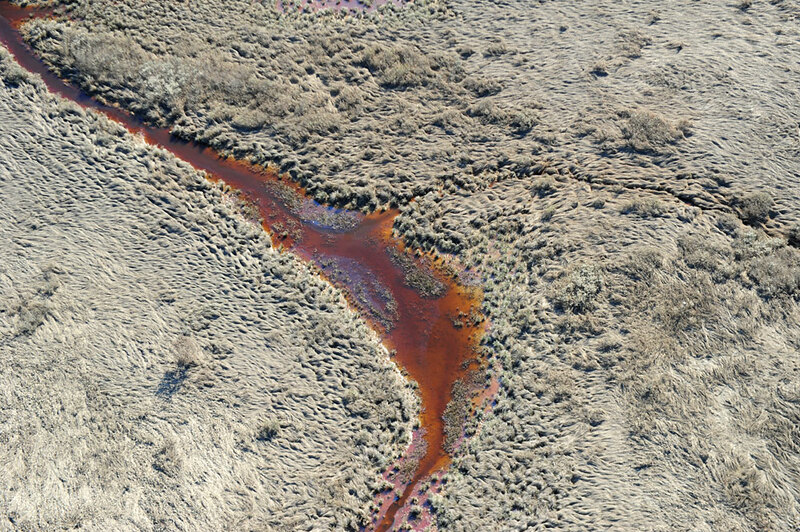 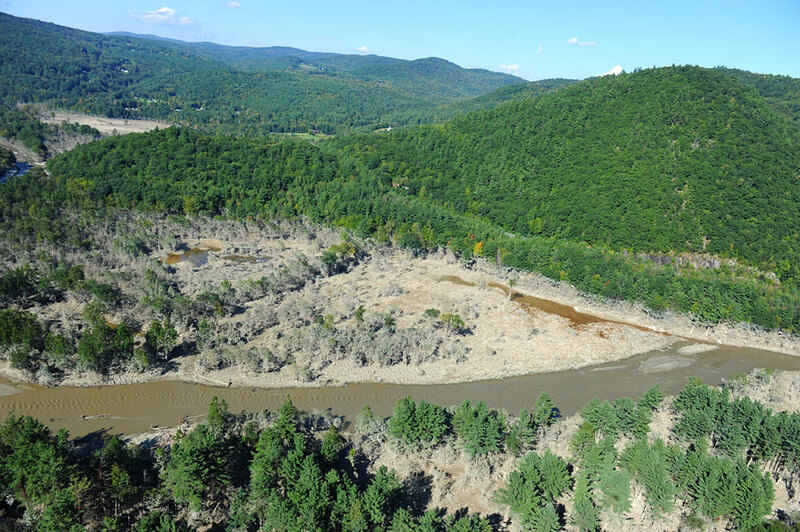 Dead or discolored vegetation from high water at the Townsend Dam. 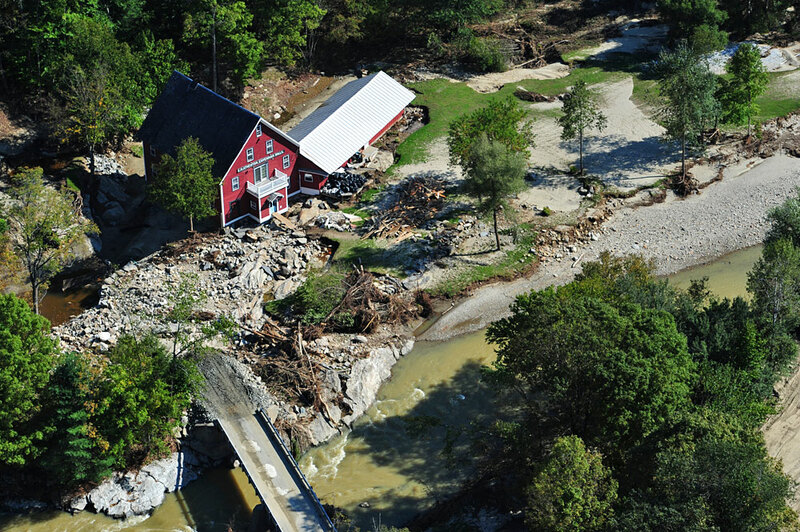 Flood debris just south of East Jamaica, Vermont. 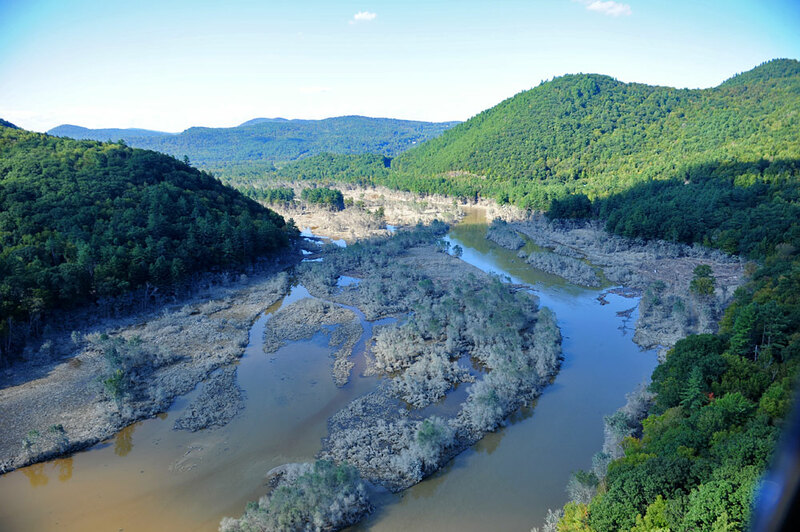 A floodplain near East Jamaica, Vermont. 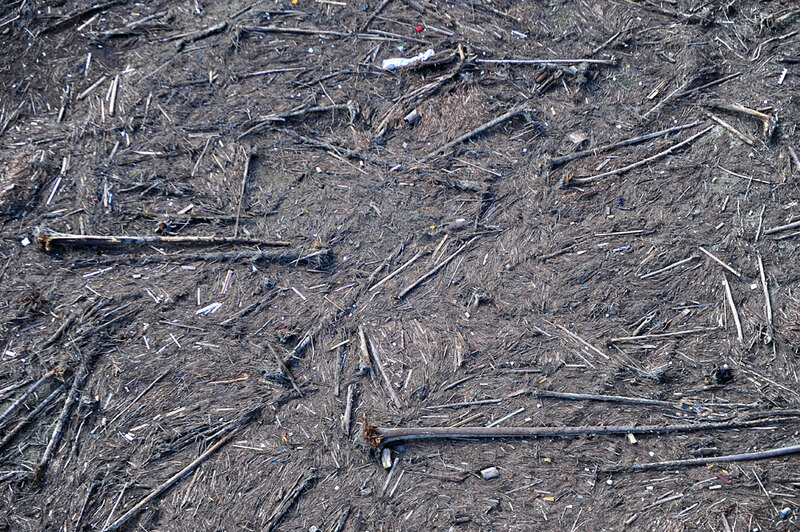 Debris field in the West River just outside Jamaica, Vermont. 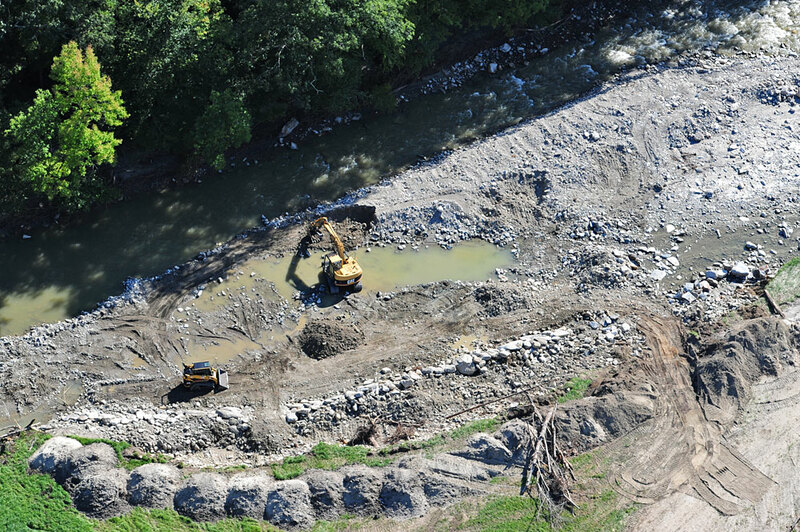 Riverbank restoration and road repairs in Jamaica along Route 100/30. 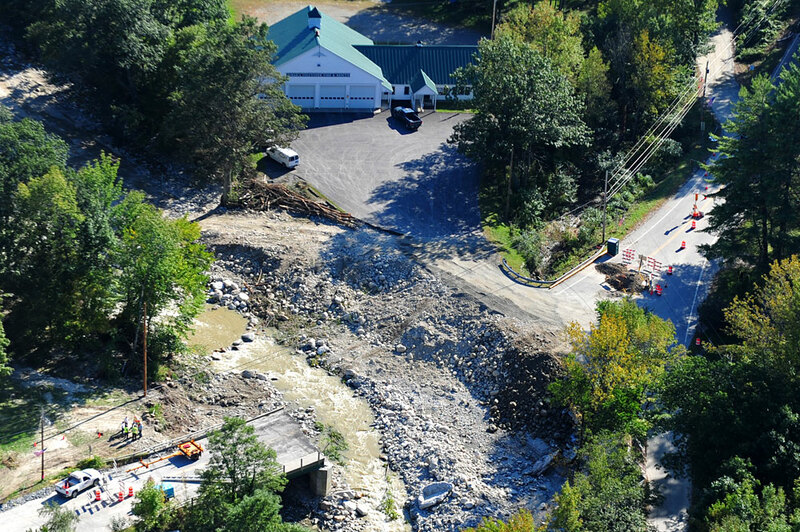 Major bridge washout on Route 100/30 in front of the Jamaica Volunteer Fire Department. 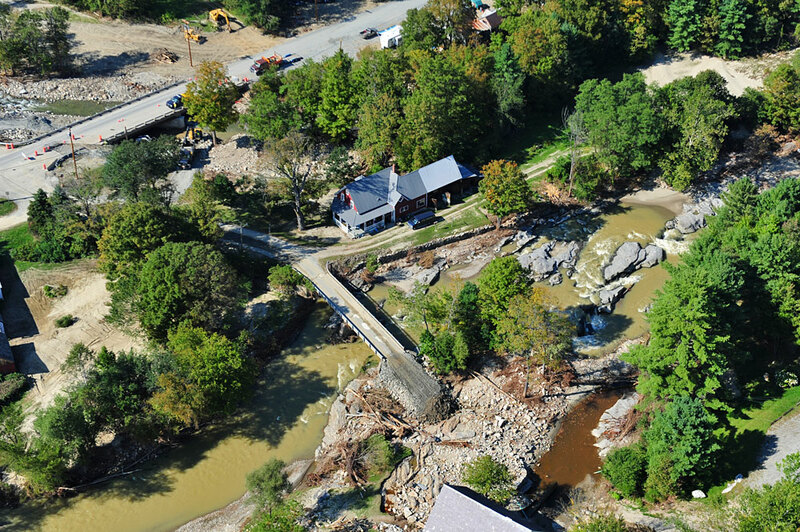 Bridge washout on Route 100/30 in front of the Jamaica Volunteer Fire Department. 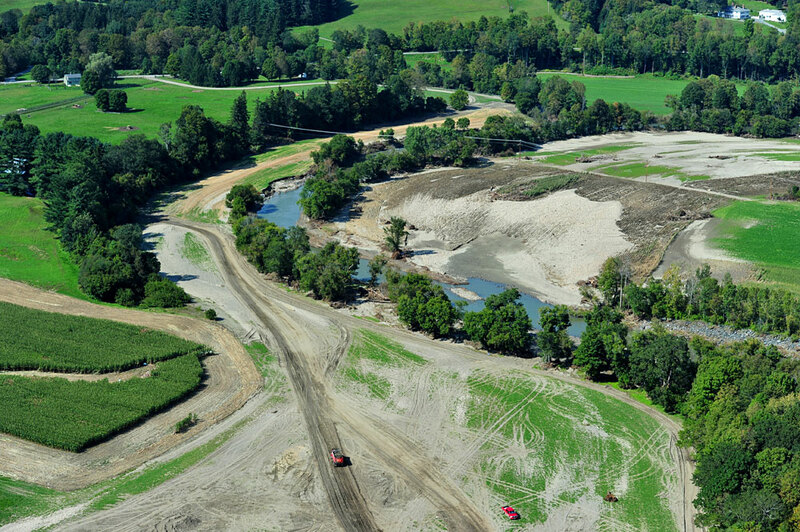 Another dam on the West River. 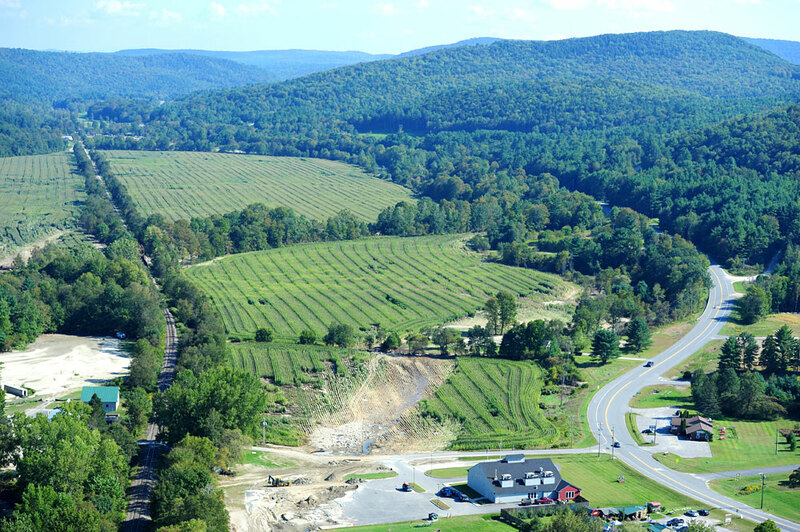 This one just north of Jamaica. 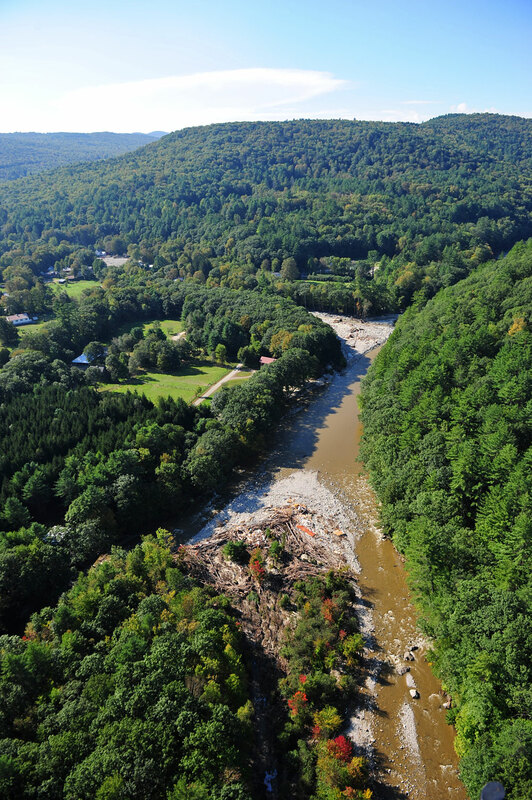 The West River just north of Jamaica. 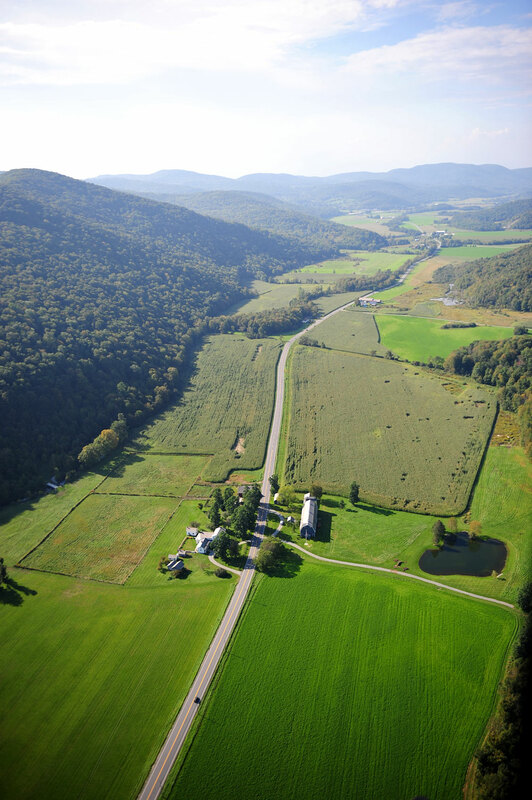 A beautiful and lush valley near Dorset, Vermont heading north on Route 30 from Manchester. 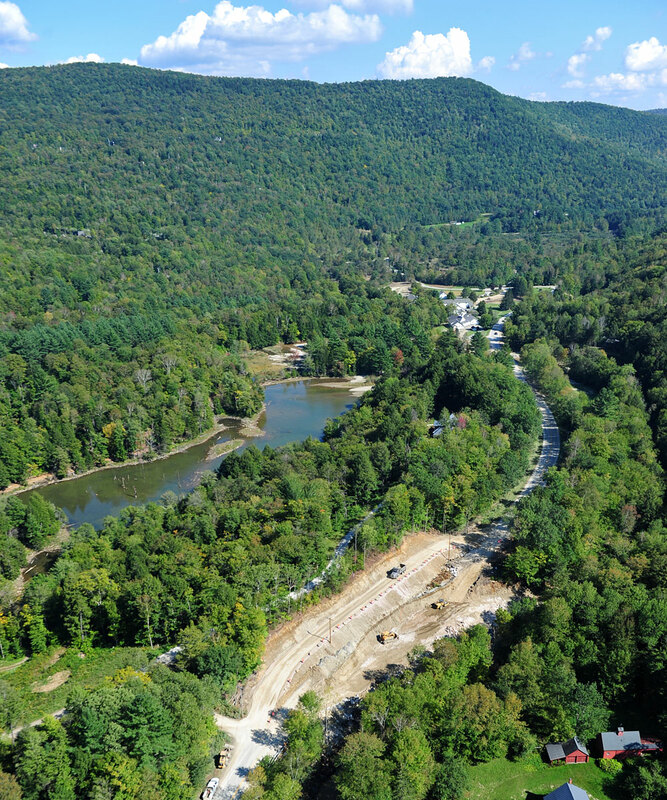 With river silt surrounding their homes in Pawlet, VT residents work to reclaim the land. 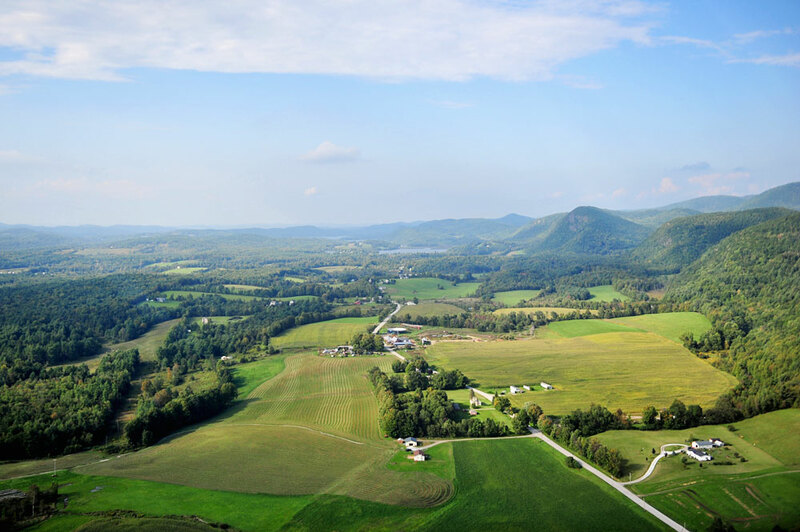 A beautiful view near North Pawlet, Vermont. 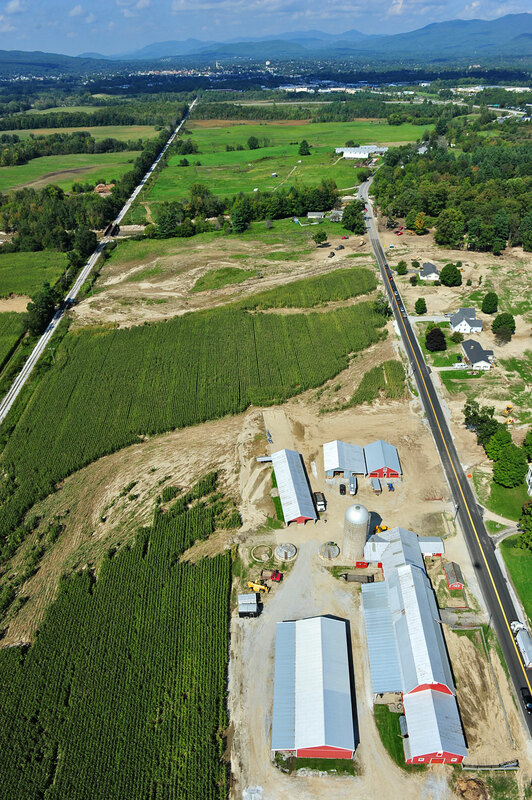 A damaged field just outside Granville, New York. 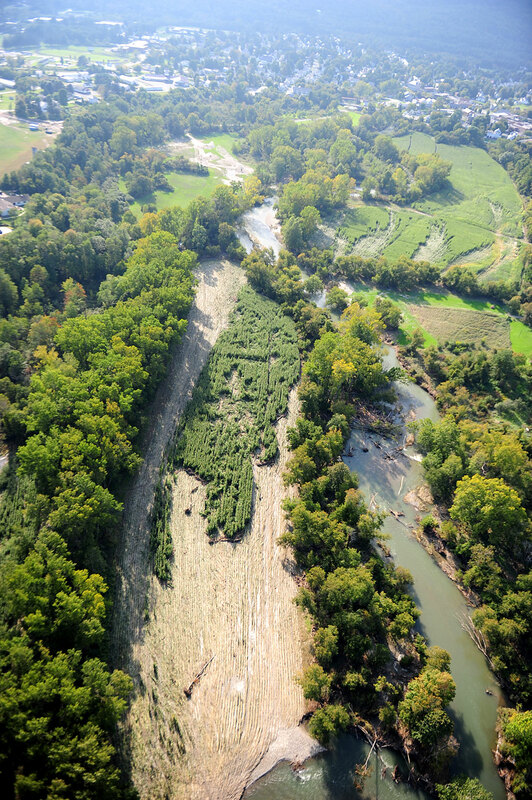 A summers worth of corn destroyed in a day by the high waters from Hurricane Irene. 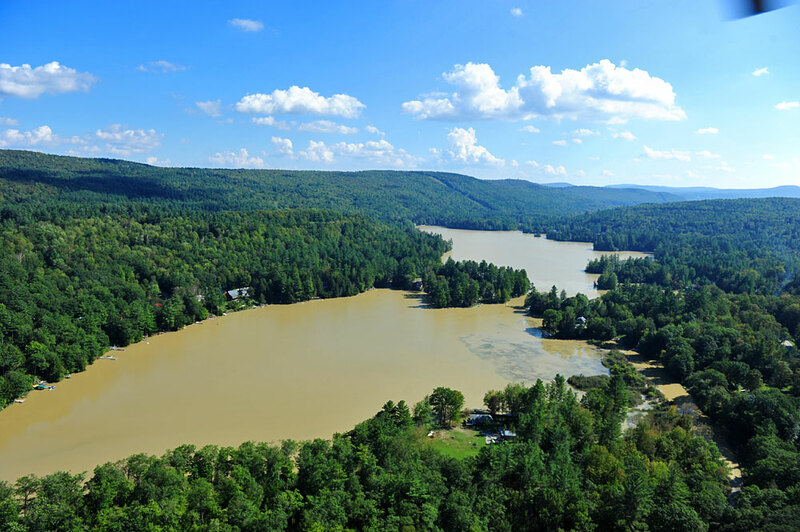 Granville, New York is seen in the background. 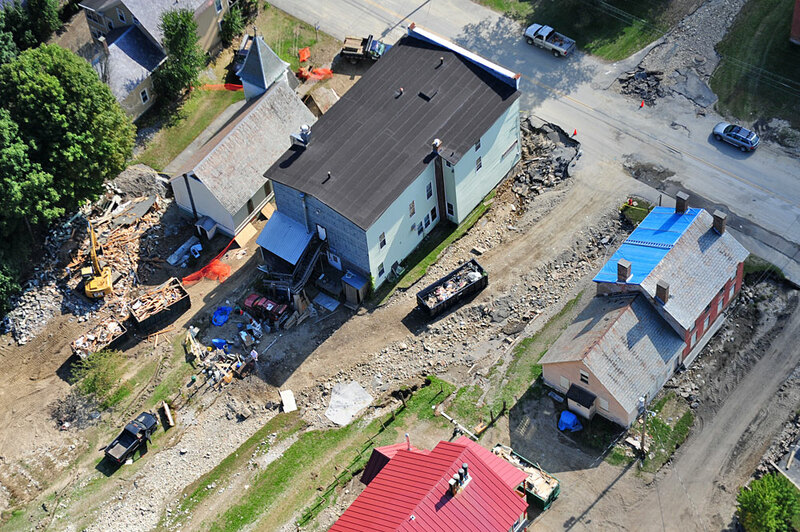 A totally destroyed side street in Brandon, Vermont. 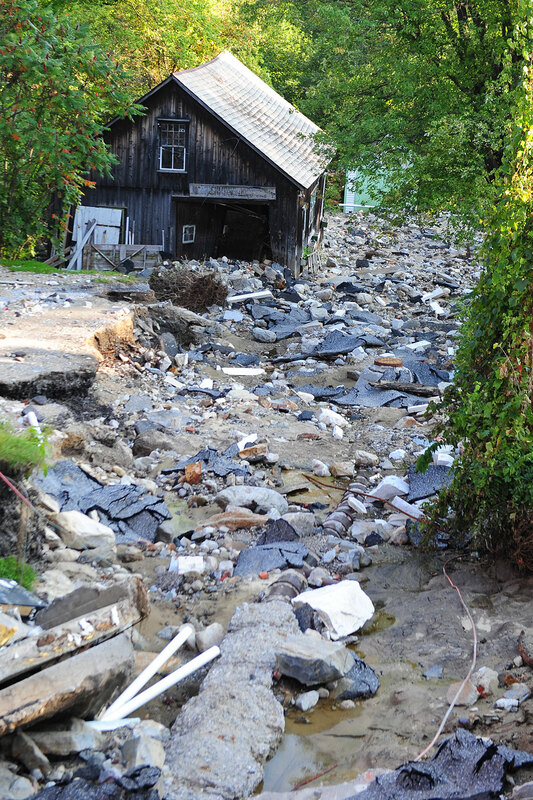 Severe erosion and property damage in Brandon, Vermont. 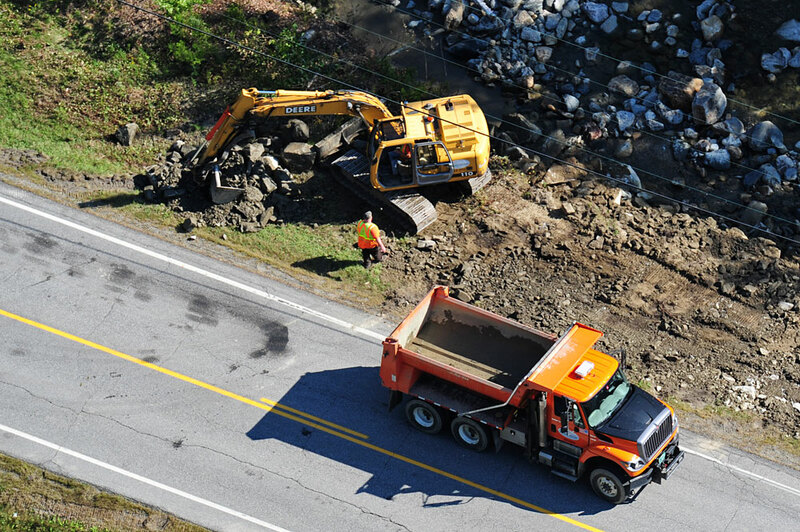 Throughout the state roads have been repaired very quickly and although a few trouble spots remain the response from road crews has been impressive. 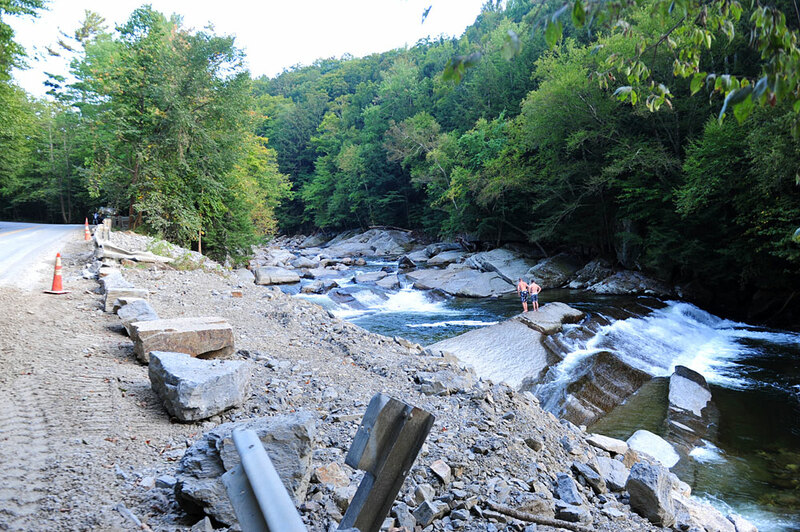 Two locals put the storm behind them and jump in the river just upstream from Bristol Falls, Vermont.